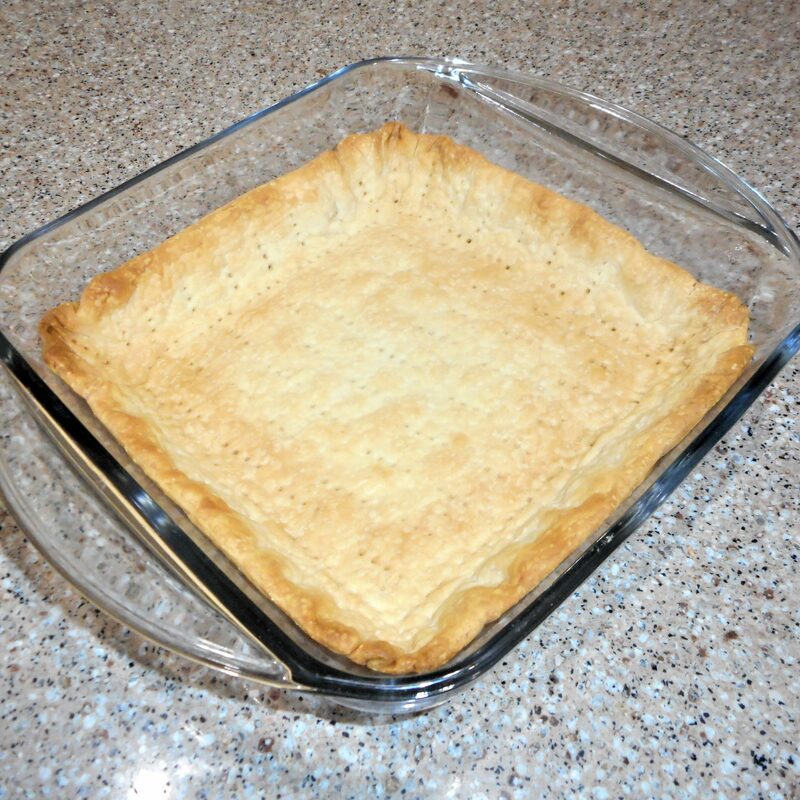 Many pie recipes, such as cream pies and fresh fruit pies, call for a pre-baked pie crust. Now I suppose one could just throw a single crust into the oven and hope for the best, but most often a presentable crust is not the result. Commonly, the crust is bubbled or misshapen, making an evenly filled pie difficult to manage. There is a better way, and that method doesn’t really take any extra time and very little extra effort. 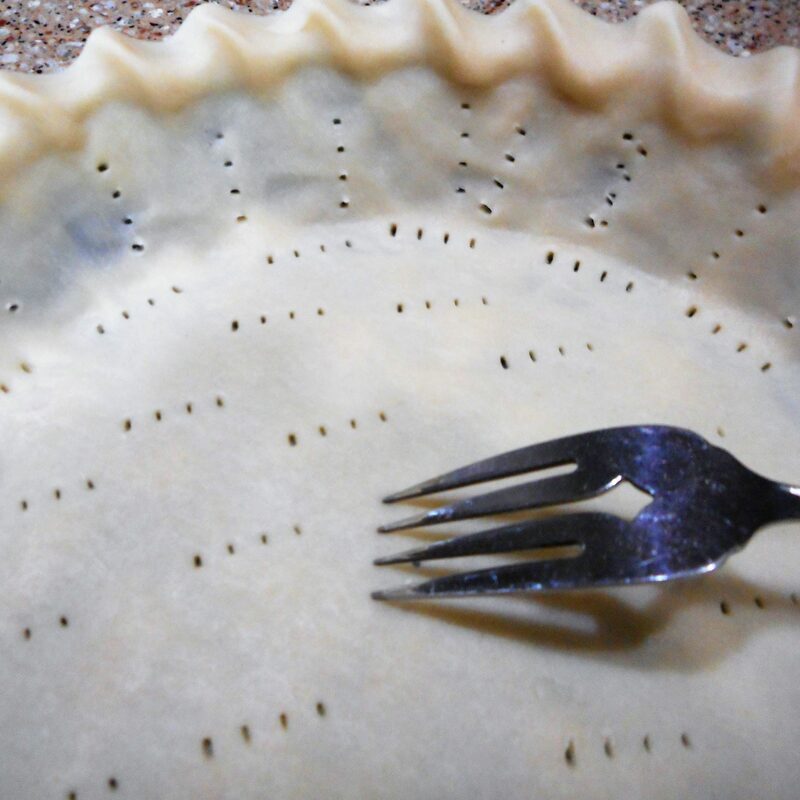 Start by fitting the unbaked pie crust into the baking dish of choice and “docking” it by pricking it all over with a fork. Next. fit a piece of foil or parchment into the crust and over the edges. 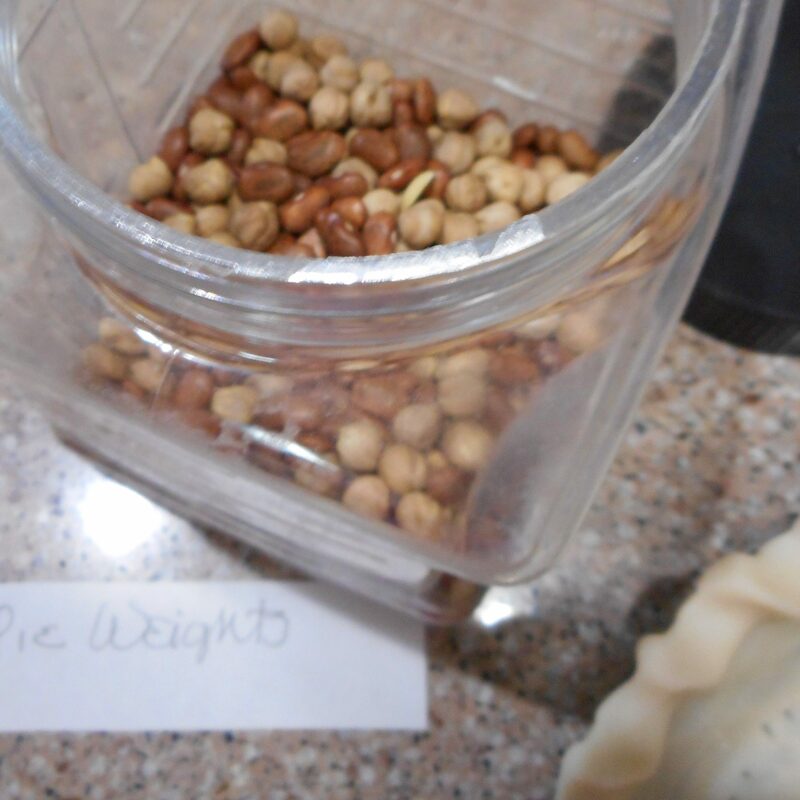 Fill it with pie weights or dried beans. I keep a jar of dried beans just for this purpose and have probably been reusing that same jar of beans for the past 15 years. Bake the filled crust in a preheated oven, usually at 400° or so, for about 12 minutes. 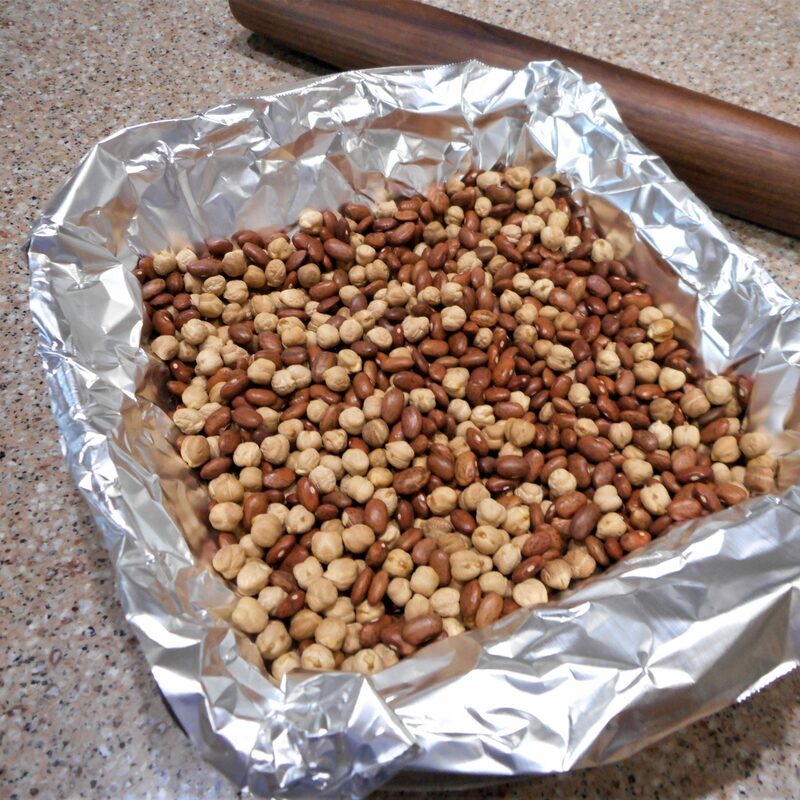 Remove the foil and beans and continue baking until the crust is fully baked and browned to your liking. Cool, then fill as desired.